Roy Williams is now 29-4 against N.C. State in 16 seasons as UNC coach, including 14-2 in Raleigh. … This was the first meeting with both teams ranked in the AP poll since February 2006. 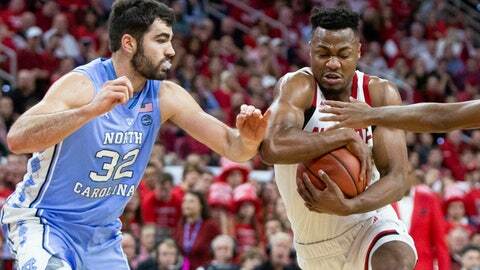 … DJ Funderburk had 15 points, helping N.C. State finish with 43 bench points. … UNC finished with a 51-33 rebounding advantage.